What prompted you to launch Vaya? It was always a dream to have a store for handwoven textiles showcasing weaves from all over the country, spanning various techniques and price points, but also contemporary enough that my daughter would also find something in the same store. Bappaditya of Bailou, Gaurang Shah and I shared a common vision about the handwoven sari — that it need not be drab and boring — and that was instrumental for the launch of Vaya. I strongly believe that if we convince the generation in the 30s age bracket to appreciate the culture, tradition and heritage that we often take for granted, we have possibly saved it for the coming 30 to 40 years making the ‘revival’ forward their responsibility. Having worked with weavers for more than two decades, what are some learnings? The important thing I’ve learned is to respect a weaver’s work, his or her time spent on the loom and never to bargain. It is only then that weavers are willing to improvise and produce the best quality textile. I also learned that weaving is a form of meditation and when the weaver is at peace with himself /herself, the result is an exquisite, flawless textile. What are the challenges India faces to protect our heritage weaves? Our biggest need is businessmen/women who understand the intricacies of handloom and what it takes to run a successful business. Another hurdle is rampant copying. So much goes into bringing out new designs, techniques and concepts which unfortunately, get copied overnight, instantly killing the market. Which three weaves top your personal list? Maheshwari for its simplicity of texture and design, Jamdani of Andhra, Bengal and Benares for flexibility of the technique and lightness of the textile, and Patan Patola for the richness and ease of being able to wear it anywhere, anytime. P.S: Look up Vaya here. Way before #SariNotSorry was trending on Instagram, many young Indians were already, albeit silently, championing the sari. I remember when Sabyasachi launched his flagship store in Calcutta back in 2010, his invite was the talk of town. A sepia-tinted tin container inside which stood a rolled handloom sari, accompanied by a simple handwritten note. He was on the mission to ‘Save the Sari’. Back then, I didn’t quite believe the sari was an endangered species (I was living in Calcutta and surrounded by elegant women draped impeccably in six yards) but in the last few years, I have begun to understand why the sari needs so much saving. 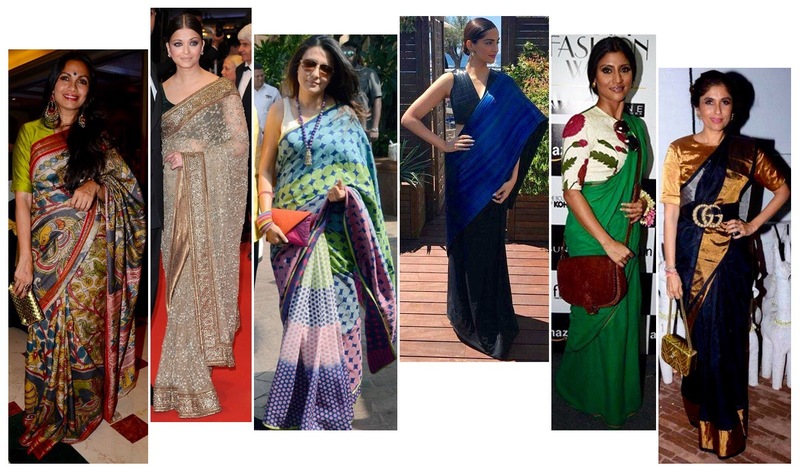 Over the years we have seen some stellar sari moments on the pages of this blog. Konkona, Mini and Maria always have P&P’s attention thanks to their effortless drapes. Aishwarya At Cannes though not recent, was definitely memorable. Roohi when she styled hers with a Gucci belt, also memorable. And Sonam Kapoor’s experiments with non-traditional saris like NorBlackNorWhite and RimZim Dadu and, of course, HHC in-house fave Anamika Khanna always has their attention piqued. Exposure to various fashion seasons, eras of fashion, designers and the crafts have only cemented their love for the sari. 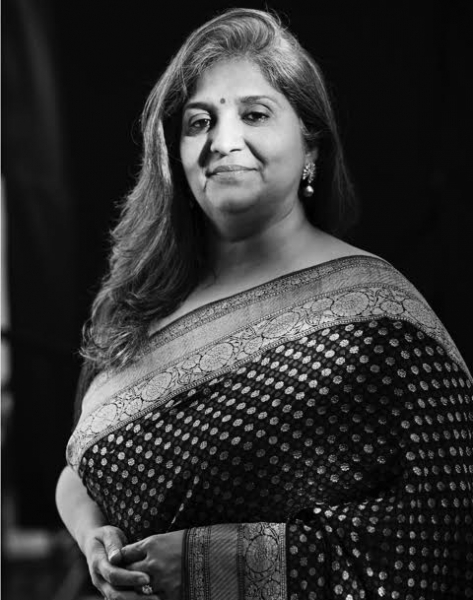 The next step was to take their passion a level further and this is when High Heel Confidential signed up as an Associate Producer for one of the films of The Sari Series. 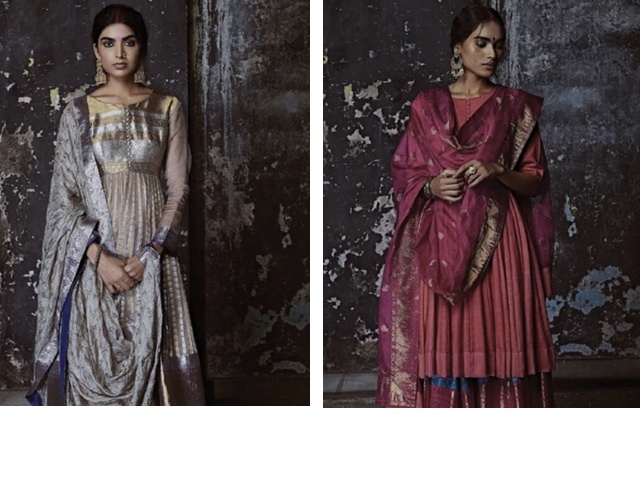 The Sari Series is a digital anthology documenting India’s regional sari drapes. This is a non-profit initiative by Border&Fall and the short film we are involved with happens to be about a drape from Orissa along with a signature weave from the state. Needless to say, this makes Payal super giddy with excitement! At some point, when all this was happening, Priyanka & Payal consciously decided to wear more saris themselves. Shunning the notion that a sari is a hassle, they believe that there is a sari for everyone. “Find a sari that fits your style or better still, figure out a way you can wear it and make it your own. Stick to the classics and try out many of the blouse styles on offer, or go all out and pair the sari with anything from tees, crop-tops and moto-jackets… It is what you make of it!” And if you follow Priyanka and Payal on Instagram, you know these girls are walking the talk. Join our Beyond Six Yards movement and let’s vow to wear the sari more often. Because #SariNotSorry (or #SareeNotSorry if you prefer).